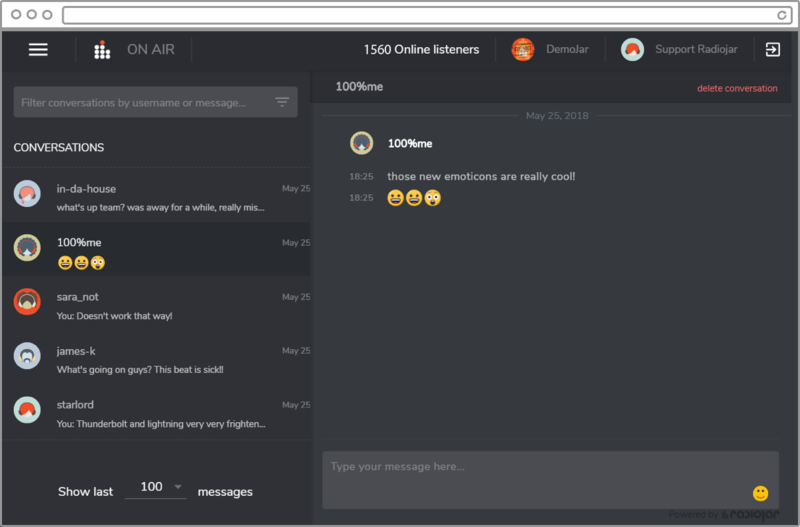 Radiojar’s newly updated chat feature is here to rock your world. Embed an IFrame widget in your website in a matter of minutes and chat with your audience real-time. No need to install any software, everything is hosted in the cloud. Add your personal touch and gain listener loyalty. Get your listeners to meet your DJs. Keep your listeners in the mood by interacting with producers. Establish a personal connection with your audience. Monitor and respond to messages through a modern, mobile responsive, browser-based app. Visit onair.radiojar.com and check it out! 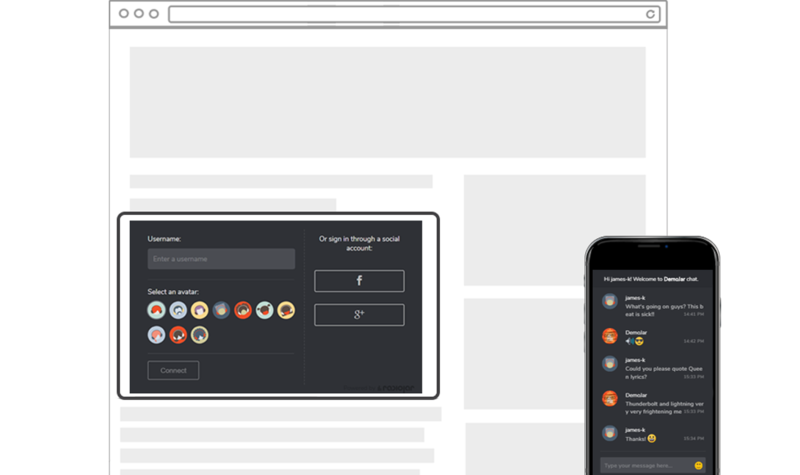 Use an IFRAME widget in your website, enable listeners to either connect via their social media or select an avatar before messaging you.